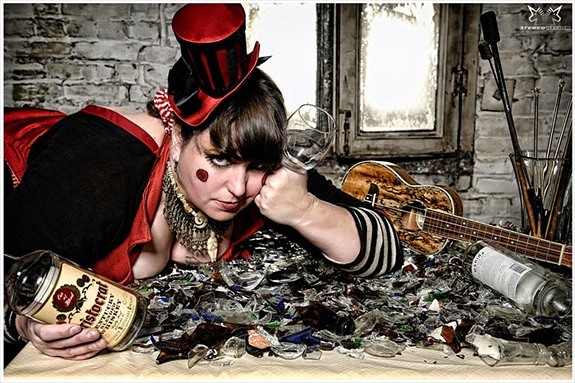 Mab just Mab is a nationally touring sideshow performer who combines theatre, music, movement, comedy to bring you Classic sideshow, with a taste of vaudeville, covered in comedy, seasoned with ukulele. Founder of DCVariety Social Aide Society – an organization which offers emergency aid to uninsured variety artists in the DC area. 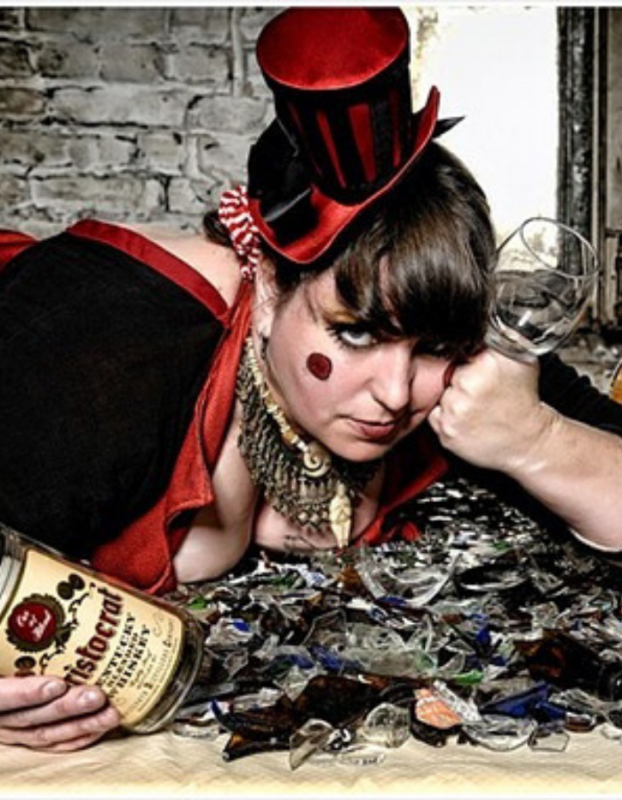 Mab Just Mab, DC’s Own Sideshow Girl, combines artistry and pain to create hilarious & compelling entertainment. A glasswalker and blockhead, escape artist and ukulele fanatic, she is a tenured freak at DC’s notorious sideshow venue & museum, The Palace of Wonders. Mab has as been featured in several documentaries and books on the sideshow revival, and performs solo, with The Accidental Circus, and as a pillar of the Cheeky Monkey Sideshow. Would you like to know a bit more about Mab? Currently, Mab can be found monkeying around with the rest of the Cheeky Monkey Sideshow, which happens to also be DC’s longest running theatrical sideshow. Mab believes that every single person has superpowers. One of Mab’s super powers is the ability to find the shortest lane in at a toll booth. The other is the ability to walk on broken glass and hammer spikes into her face. Mab is a freak. You probably shouldn’t try that at home. In the realm of the extraordinary, one artist stands out. Mab has performed all over this country, touring fairs, festivals, and alleyways across the US. She boasts a performing career that has spanned over 18 years. She has worked with artists and dancers not only as a musician and performer, but as someone who enables others to realize their dreams of performance. In her travels, Mab has been fortunate enough to cross paths and study with some of the greatest ethnic folk percussionists: Daveed (of Turku), Susu Pampanin, Suhail Kasper, Seido Salifoski, Kevin Hartnell, Raquy Danziger, and many more! With a wide spectrum of talents, music to dance, comedy and sideshow, Mab has constantly focused on one thing, making a good show.